"Care team members have immediate access to the clinical documentation to help guide future medical actions – enabling more personalized, higher-quality patient care." 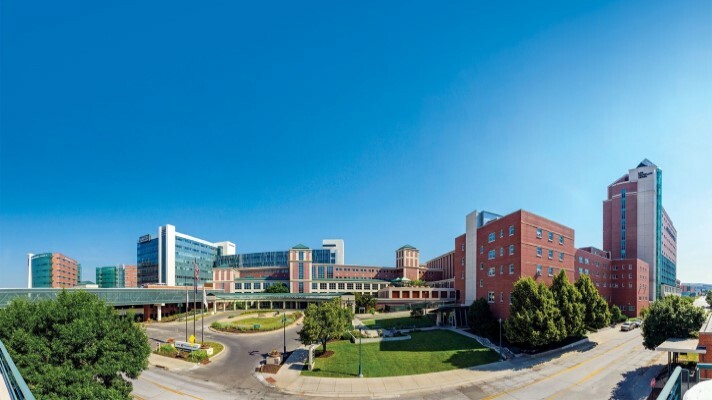 "Through the Dragon Medical One Enterprise Solution, care team members have immediate access to the clinical documentation to help guide future medical actions – enabling more personalized, higher-quality patient care," said Dr. Michael Ash, executive vice president and chief transformation officer at Nebraska Medicine. "As a physician is dictating notes, Dragon Medical Advisor identifies a statement about the patient that now qualifies for a quality consideration; an unobtrusive notification encourages the physician to think through that scenario further and rule it out or take action that will improve the patient's outcome," he explained. "This helps ensure better quality and patient safety controls." The systems integrate seamlessly with the EHR and can be accessed from a single, cloud-based voice profile from the clinic – or at a clinician's home – adding flexibility to physician schedules. "We've also found that physicians enter notes into the system much sooner after meeting with patients, leading to notes that are more extensive and complete," he observed. "EHR optimization is an ongoing investment, but ultimately physicians do not want to be a transcriptionist," Ask said. "They want more natural workflows and they want voice technology that is accurate, feels natural to use and is efficient. Their feedback and buy-in leading up to, during and after the implementation is ultimately what guided our purchasing decision and why we were able to achieve such incredible results." "It's a research-based partnership that helps Nuance collect data to assist with provider workflow and patient experience," Ash explained. "We're helping them improve the product while providing physicians with solutions that allow them to practice medicine the way they were trained. Our physicians are excited, and they don't usually like technology." The physicians are excited by the potential of allowing them to focus on face-to-face interactions with patients while creating notes and actions within the EHR, he added. The goal is patient-to-provider interactions versus looking at the back of the provider's head while they type their notes, he concluded.